New Nissan Micra to cost from £11,995 | What Car? Nissan is launching an all-out bid to challenge some of Europe’s best superminis – including the Ford Fiesta and our current small car of the year, the Skoda Fabia – with a completely new Micra. The new model arrives in UK showrooms next March. 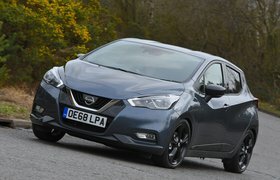 It aims to improve upon the reputation of the current Micra, which has fallen well behind the class leaders in key areas such as ride comfort, handling, refinement and interior quality. 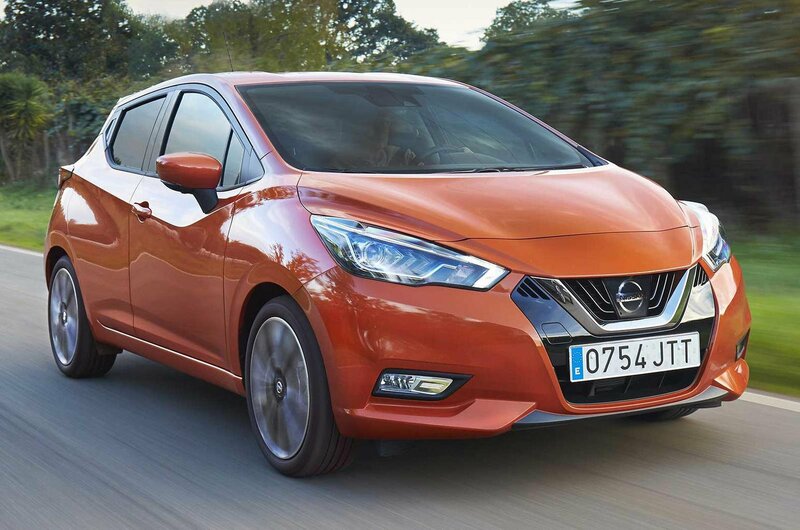 To make the Micra appeal more to European buyers, most of the engineering development has taken place in Spain and the UK, and cars will be built by Nissan’s alliance partner, Renault, in France. The new model is longer and wider than the car it replaces, which should result in more head room and leg room inside and a slightly larger boot. It gets a shorter bonnet, a more raked windscreen and a lower roof than the current model, in an effort to give the new supermini a sportier appearance. 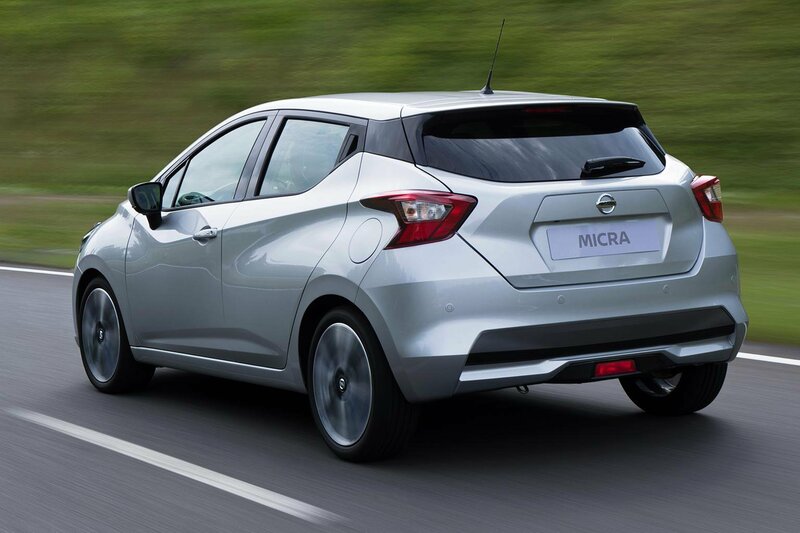 The new Micra’s styling was previewed by Nissan’s Sway concept at last year’s Geneva motor show. Equipment includes standard 16in alloy wheels – larger 17in alloys are optional – and an array of decals and colour combinations which allow owners to personalise their cars. Inside, the Micra borrows some of its trim from the pricier Qashqai – one of our favourite small SUVs and a former What Car? Car of the Year – and gets a new infotainment system with a centrally mounted 5.0in touchscreen. The door pockets can carry 1.5-litre water bottles, there’s a large glovebox and the front seat backrests have wheel adjusters instead of levers – all because European buyers prefer them. The steering wheel is adjustable for height as well as reach, which isn't the case in the current car. And the new Micra also gets a specially engineered Bose audio system that features speakers in the driver’s headrest in top-end versions. At launch, there will be two engines to choose from, and both are shared with Renault. The petrol option is a 0.9-litre three-cylinder engine with 89bhp, while the sole diesel is a 1.5-litre engine with the same output. A non-turbocharged petrol engine with 72bhp will join the range later on, alongside a sporty 120bhp option. Manual gearboxes will be standard across the range, but a CVT automatic option will be offered on at least one model. 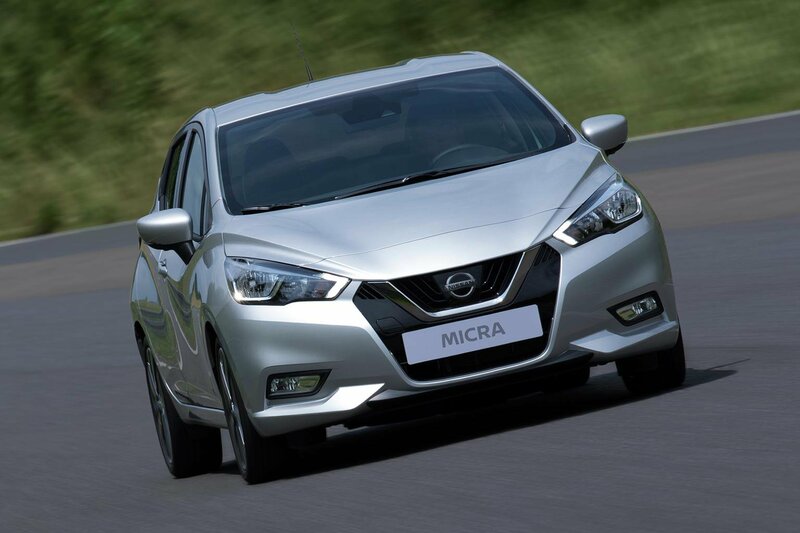 Two new electronic systems help with the Micra’s handling: Active Trace Control (which uses the brakes to keep the car on line in corners) and Active Ride Control (which improves body control over large bumps). Buyers will be able to choose from a familiar range of Nissan trim levels: Visia, Visia+, Acenta, N-Connecta and Tekna and full specifications for the car will be announced later in December. 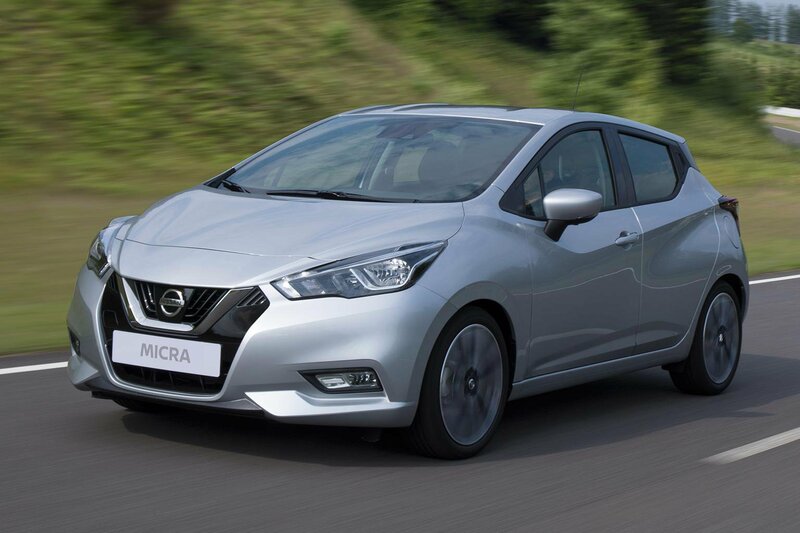 Nissan has confirmed that luxuries including heated front seats, keyless entry and start and a Bose sound system will be available on the new Micra. Depending on trim, the Micra gets most of the electronic aids found in more expensive cars, including lane departure warning, blind spot monitoring, Autonomous Emergency Braking (AEB), surround-view cameras and traffic sign recognition. Prices for the new model start from £11,995, making it more expensive than the Skoda Fabia but significantly cheaper than Ford's Fiesta, which is priced from £13,545. The mid-range IG-T 90 Acenta Micra – expected to be the most popular model in the UK – costs £14,995, which is more expensive than our recommended versions of both the Fiesta and the Fabia. Top-end Tekna versions are priced from £17,295. See more of the star car the Micra will have to beat – the Skoda Fabia – in our video review below.